Accurate valuations of real estate assets and sound professional advice are fundamental to the investment decision-making process. Similar to other members of Charterland’s professional staff, prior to joining Charterland, James was part of the Valuation and Estates Office team in the Lands & Survey Department of the Cayman Islands Government. His responsibilities comprised providing advice to Government on valuation and other professional property matters, including the provision of ‘Red Book’ valuation reports across all of the major property classes and across all three islands. The purposes of valuation ranged from potential acquisitions and disposals, asset re-valuation, and determining the market value of property for stamp duty assessment. James was involved in some notable projects during his time at Government, to include the valuation of a US$100 million + hotel and subsequent successful negotiation of a ground lease extension, and the valuation and marketing of the George Town Police Station. 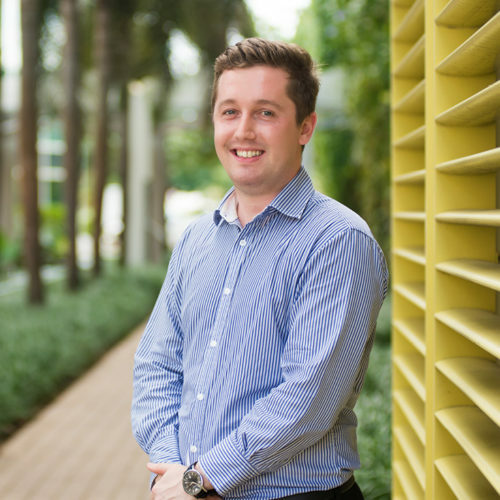 Preceding his move to the Cayman Islands, James worked for a niche firm of Chartered Surveyors in the UK, being based in Cardiff, Wales, but working across the wider region and into London. He was primarily involved in investment and valuation matters for property funds, this including the management of a high value investment portfolio, providing valuation advice, implementing asset management initiatives and undertaking financial modelling analysis to maximize the investment value of individual assets and portfolios. James recently completed a Master’s of Science degree in Property Investment at the prestigious College of Estate Management, University of Reading in the UK.